Tonight at midnight with the Greek Prime Minister’s speech and the relevant vote, the debate on the vote of confidence in the government in a climate of fierce political controversy will be concluded. On the second day of the discussion, the Prespes Agreement was the main focus point, with the opposition parties calling on Alexis Tsipras to call for elections. Although it is considered certain that the government will receive the 151 votes needed, the pressure will continue to mount against the government in the coming days when the Prespes Agreement will come for ratification in the Greek Parliament. Indeed, Panos Kammenos, speaking in the House called the government to have a referendum on the agreement. The completion of the two-day debate on confidence will bring the expected reshuffle after the resignation of P. Kammenos, while it is a matter of days, according to all indications, for the Prespes Agreement to come to the competent parliamentary committee. As the House Speaker confirmed by speaking to parliamentarians, the plenary will be invited to discuss and ratify the agreement next week. 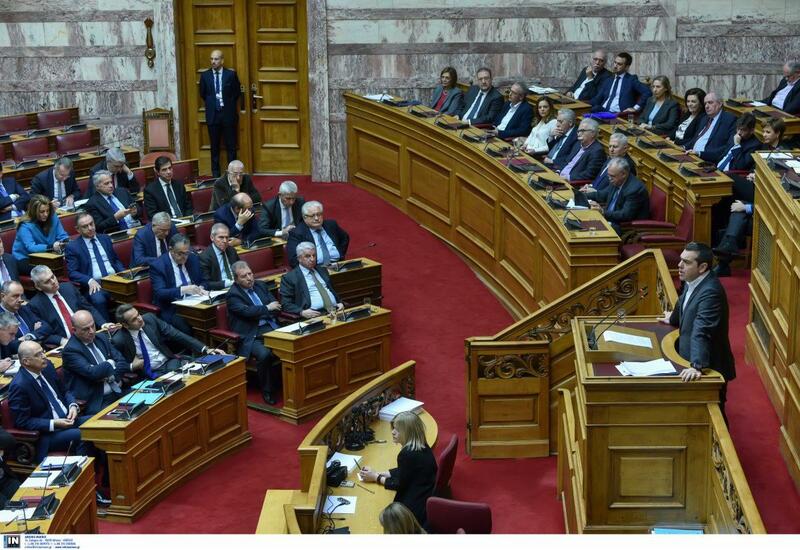 Although approval does not require an absolute majority of the House, ie 151 MPs, but rather a majority of those present, in Athens they underline that a vote with fewer than 151 votes would create a political issue. In this sense, the decision of the MPs of The River will play a key role, as three out of five – after the independence of Sp. Dannelis who also supports the government – are in favour of the agreement. However, following the decision of Sp. Danellis to give a vote of confidence, despite the party line, second thoughts are expressed. In any case, the party’s organs meet tomorrow with the participation of both MEPs (Miltiadis Kyrkos, Manolis Grammatikakis), who are openly in favour of the Prespes Agreement.